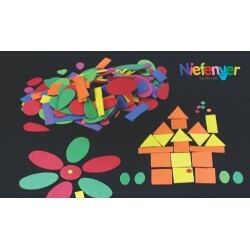 Eva foam and felt There are 22 products. 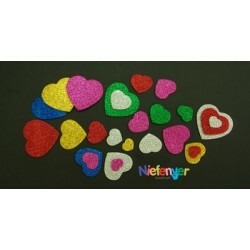 Bag including 72 heart-shaped pieces of Eva Foam With Glitter. 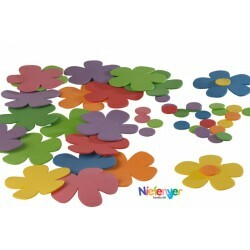 Available in 5 assorted colours and 6 different sizes. 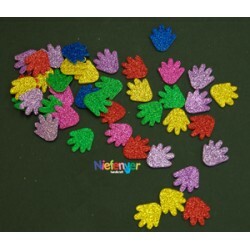 Bag including 100 hand-shaped pieces of Eva Foam With Glitter. 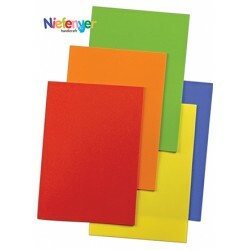 Available in 5 assorted colours. 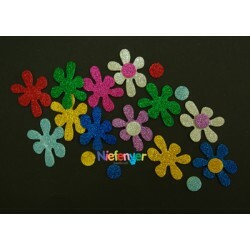 Bag including 32 flower-shaped 50x50mm pieces of Eva Foam with glitter. 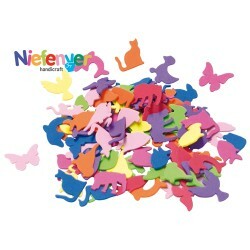 Available in 7 assorted colours. 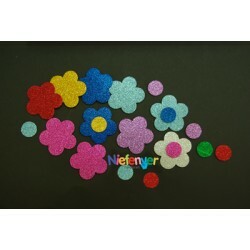 Bag with 24 flower-shaped 50x38mm pieces of Eva foam with glitter. Available in 5 assorted colours. 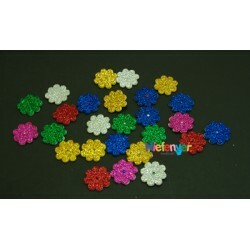 Bag including 72 flower-shaped 20x20mm pieces of eva foam with glitter, with interior hole of threading. Available in 5 assorted colours.